LUSH GreenScape Design is an award-winning landscape design-build studio based in New Braunfels, Texas. Our focus is on sustainable methods which result in responsible landscapes with both function and beauty. We offer a turnkey approach to landscaping which takes the project from conception through construction with no disconnect between the design and the installation. Our intuitive design, unwavering attention to detail, and creative and artistic spirit during the process bring unparalleled quality to the finished landscape. We create innovative outdoor spaces that are functionally sound, environmentally responsible, and exquisitely LUSH. Initial Consultation We meet with you to determine the scope of the work along with your functional needs and discuss your aesthetic preferences and overall vision. Creative Design We perform a site analysis of your home or business, and take into consideration the architecture, soil conditions, drainage considerations, and privacy issues. Concept Approval We encourage a collaborative approach with our clients, and collectively determine a conceptual plan. 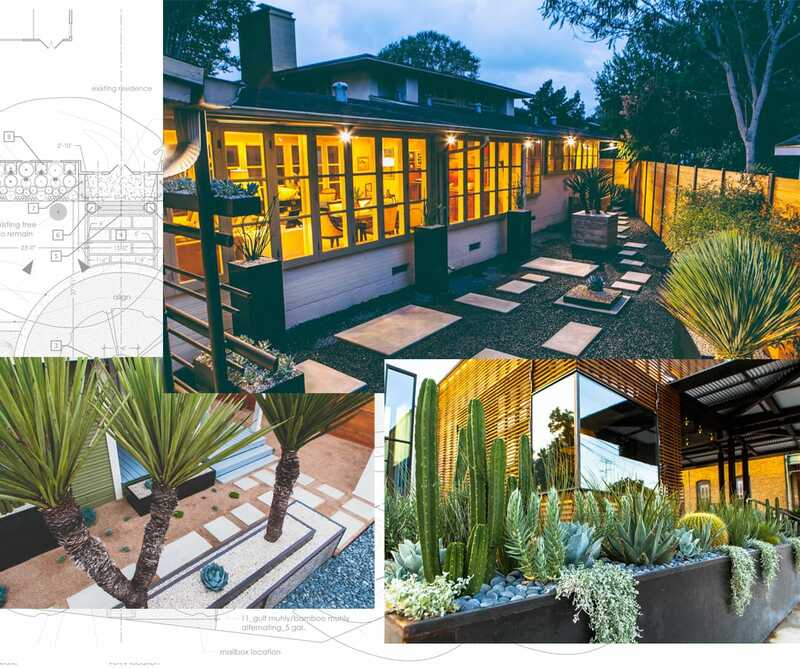 Design Drawing and Schematic We develop a design that includes hand-drawn perspectives along with a diagram of hardscape materials and plant palette. A schematic plan can also be provided to reflect lighting and irrigation if need be. Final Construction Approval We provide an itemized proposal for the installation. To ensure we do not develop a design that is unattainable for implementation, budgeting will be discussed at the initial consultation. Construction and Installation We implement the build-out of your project while managing every aspect of construction to ensure the integrity of the design throughout the installation. Finished Dream Project We endeavor to make your dream project a reality. If you can DREAM it, we can DESIGN and BUILD it. LUSH GreenScape Design is available for select projects throughout the country. Our primary emphasis is in Texas including projects in Austin, San Antonio, Marfa, Wimberley, San Marcos, New Braunfels, Fredericksburg, Lake McQueeney, Lake Dunlap, Corpus Christi, Laredo, Boerne, Canyon Lake, Bulverde, and Port O’Connor.